Containing more than 84 million stars, this nine-gigapixel shot of the Milky Way’s central bulge will help astronomers unravel the complex history of star formation in our home galaxy. Amazing image. A 2 million year time lapse photo. The Senate Armed Services Committee oversees the U.S. military, including the Department of Defense and the NSA, which is part of the DoD. 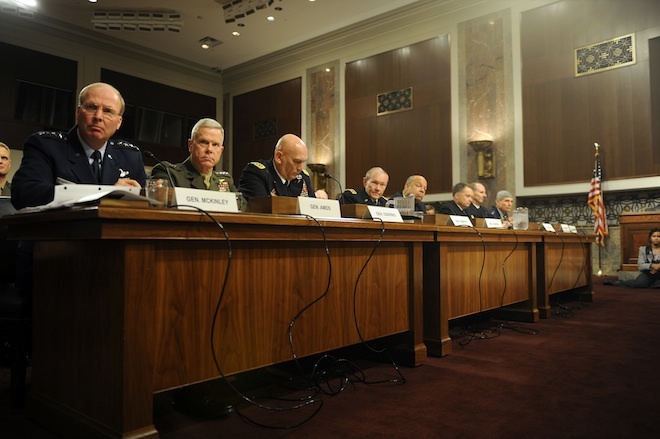 With Senate bill 3254 — National Defense Authorization Act for Fiscal Year 2013 — the committee lays out the U.S. military budget for the coming year, and at one point, the 600-page bill targets Accumulo by name. The bill bars the DoD from using the database unless the department can show that the software is sufficiently different from other databases that mimic BigTable. But at the same time, the bill orders the director of the NSA to work with outside organizations to merge the Accumulo security tools with alternative databases, specifically naming HBase and Cassandra. No wonder the guys in this picture looks so grumpy.